Designed for moderate snow climbing while approaching alpine rock routes or ski mountaineering objectives, the Black Diamond Neve crampon features a 10-point aluminum design for lightweight functionality. Two different attachment configurations accommodate both technical and non-technical footwear, while the aggressive yet flexible construction keeps you moving quickly and confidently on steep, snowy terrain. 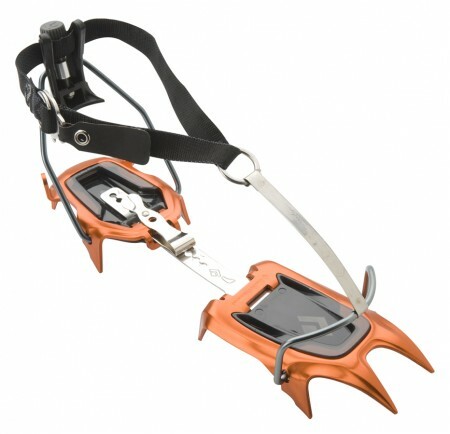 The Pro version features steel wire bails in the front and aluminum in the rear for telemark, ice and randonnée boots. The Strap version features a new softer strap that better accommodates trekking and trail running footwear.